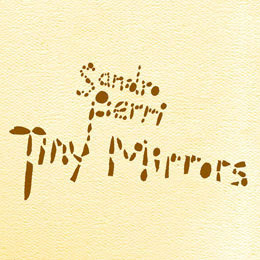 Tiny Mirrors, Sandro Perri’s first full length effort under his own name (he did release a five track acoustic reworking of his electronic work done under the moniker, Polmo Polpo), is imbued with a nonchalant elegance, a sound so free flowing and unforced that you can’t help but marvel at it. Toronto based Perri has been moving in music circles under several band names for a handful of years, but it’s this effort, bearing his name and voice, that should stamp his art on the minds of music fans. Trained as a jazz musician, Perri brings that genres’ improvisational beauty to songs that defy all labels excepting that of personal. Originals such as “Double Suicide”, with its lovely title refrain (a hook nearly lost in the song’s laid back charm) and his cover of Fred Neil’s “Everybody’s Talkin’”, which slows down to let the sadness of the song linger long after the music ends, stand out on a record that recalls Jeff Buckley mashed with Nick Drake. The term ‘under the radar’ was coined for just such an artist as Perri, and I pray that this handful of words lifts him high enough to begin flashing on radar screens.